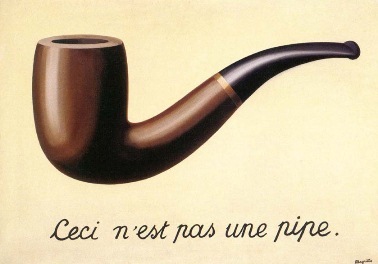 Surrealist painter René Magritte’s famous painting “The Treachery of Images” displays a drawing of a pipe with the caption “Ceci n’est pas une pipe” (this is not a pipe). The painting points out a problem with referential images: when we look at an image that refers to another object, making the connection between image and object replaces further thought about the work itself. Tess Lea and Phil Pholeros argue that to understand the failures of publicly funded housing for indigenous Australians we must do what Magritte prompts—pry the “image” of a house apart from what makes a “real” house. Understanding the controversy surrounding the alleged “incapacity” of Aboriginal householders to care for their housing requires the recognition that, in some cases, “a pipe is not a pipe” (191). “A length of polyvinyl chloride tubing is not a pipe,” they write, “when, as is the case with much indigenous housing in Australia, it is not connected to an effluent disposal system” (191). This is only one of the more common failings of structures that appear to be houses but are, in fact, “composite deceptions” (191). After extensively studying the quality of housing provided to indigenous communities around Australia, Lea and Pholeros argue that most of the houses are illusions. They look like houses but lack key features of functionality: working bathrooms, kitchens where food can be prepared, basic electrical safety. These treacherous illusions persist despite government regulation. In fact, regulatory bodies participate in making non-houses into houses by regularly signing off on shoddy or incomplete maintenance work. Tess Lea and Phil Pholeros. 2010. “This Is Not a Pipe: The Treacheries of Indigenous Housing.” Public Culture 22(1): 187–209. It's Paul Pholeros, not Phil.